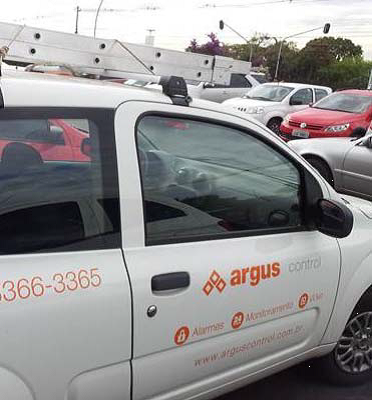 Argus Control, located in Brasilia, Brazil, brings its customers peace of mind by offering innovative automation and security technologies to residential and commercial customers that can be remotely managed. Their services include high definition cameras, night vision and state-of-the-art sensors you can control over the internet or by phone through the company’s 24/7 central monitoring station. “We were having on-going issues of equipment being taken from our inventory room without any documentation,” explained Cristóvão Resende, COO, Argus Control. The company keeps a large amount of inventory on hand and each month, items would go missing. In addition to significant monetary losses from the missing products, Argus was losing hundreds of hours each year tracking down the missing items. Often, the missing inventory was not stolen. Instead, it was in a salesman’s truck or was with an installer, but the inventory was still unaccounted for and not available to Argus for installations or for product demonstrations. 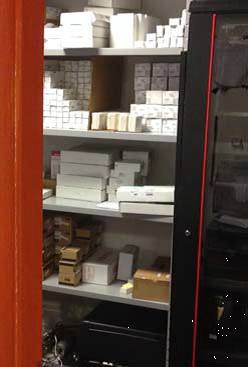 Argus installed ECKey Bluetooth readers to manage access to the inventory room where they had tens of thousands of dollars’ worth of goods. 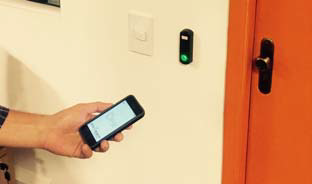 ECKey’s VIZpin cloud-based service lets Argus send, revoke and monitor electronic keys anytime from anywhere, something they could not get from a keypad. Card-reader access systems that offered those features were three times more expensive than the ECKey system installed. Now, Argus has all the access features they need at a fraction of the cost of competitive products, and they have virtually no administrative costs. “We were able to gain full control of our inventory with a minimal investment,” said Resende. At the beginning of each month, when we checked the inventory, there were always items missing. After we installed ECKey, that problem was solved,” Cristóvão Resende, COO, Argus Control. access only for authorized employees. When un-authorized personnel want to take something from inventory, an authorized person must get the item(s) and document what was taken. and it was hit or miss if we got it back.